Modified water polo was introduced as a means of sustaining patient interest while undertaking exercise without too much physical exertion. This photograph was taken of the Dunedin Phoenix Club members enjoying a game of water polo in the Physiotherapy Pool in Hanover Street, Dunedin. 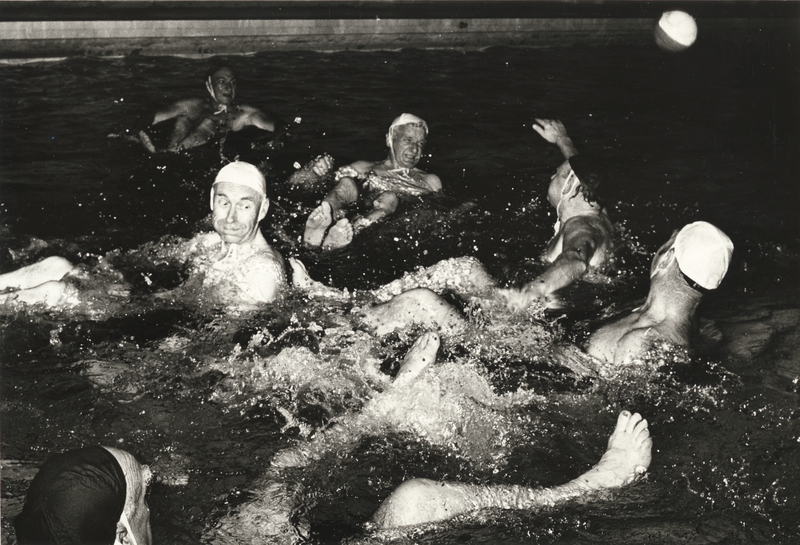 ___, “Phoenix Club members playing water polo,” ourheritage.ac.nz | OUR Heritage, accessed April 26, 2019, http://ourheritage.ac.nz/items/show/7976.